Irish stand-up comedian and actor, Jimeoin is acclaimed to be one of the best standup comics of this generation – a true comedy master. A prolific writer with an exceptional audience rapport, he is known and loved for his brilliantly funny wit and charming observations on the absurdities of every­day life. Jimeoin is a regular on Australian Television and has made appearances on top-rating international programs including Late Night with Conan O’Brien. 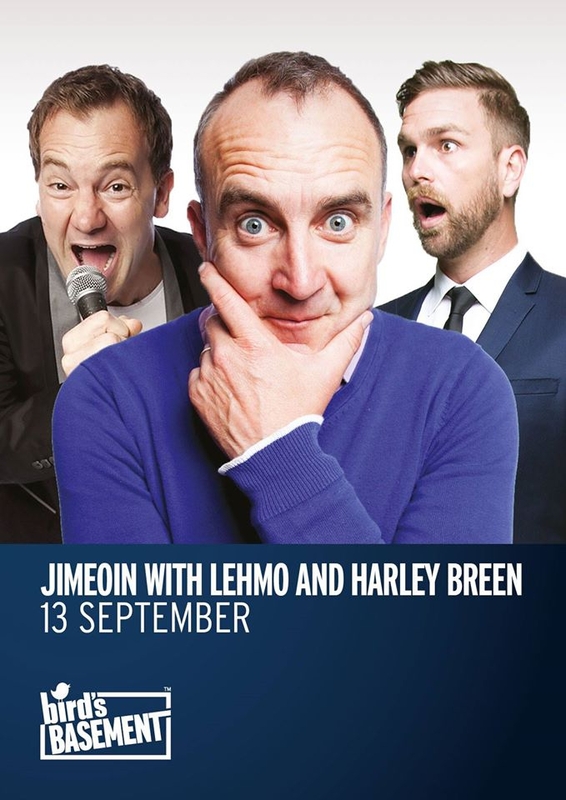 Joining Jimeoin on stage will be Australian comedian, Anthony ‘Lehmo’ Lehmann. Lehmo is a host on the gold 104.3 breakfast show and regular panelist on The Project and Have You Been Paying Attention? He also stars in the ABC series Utopia and has headlined stand-up comedy clubs around the globe. To complete the show, will be Harley Breen who regularly headlines around Australia and has won over a legion of fans with his accessible and relatable comedy. Breen performed his 10th solo show Smell the Penguins across the country in 2016 to sell-out crowds. With this trio of laughs, it’s sure to be an unmissable show.